Within the project “European Small Business Act as a framework of SME strategies and policies in BiH” (short name of the project “SBA in BiH”), funded by Sida through the Embassy of Sweden in Bosnia and Herzegovina, the second workshop for preparation of a standardized methodology for strategic planning of SME development in BiH was held in Sarajevo. 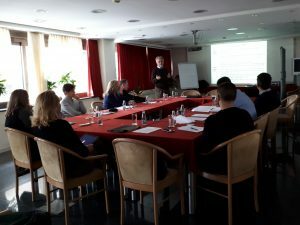 At the workshop, the introductory, conceptual part of the methodology was prepared, while emphasis was on operationalization of the principles of systemic change and consideration of complexity. In the next few months, the process of preparation will be focused on elaboration of practical part of the methodology, with the active involvement of SME development planners in the country.